ERA will be breaking into the electrical wholesale market following a new partnership supplying smartware security products to electrical wholesaler, Electricbase. ERA Key Account Manager, Darren Bates, commented: “ERA already has a longstanding relationship supplying more traditional ironmongery safety products to the Buildbase builder’s merchant stores, and this latest move is a natural progression as ERA’s ‘connected home’ smartware product portfolio grows. 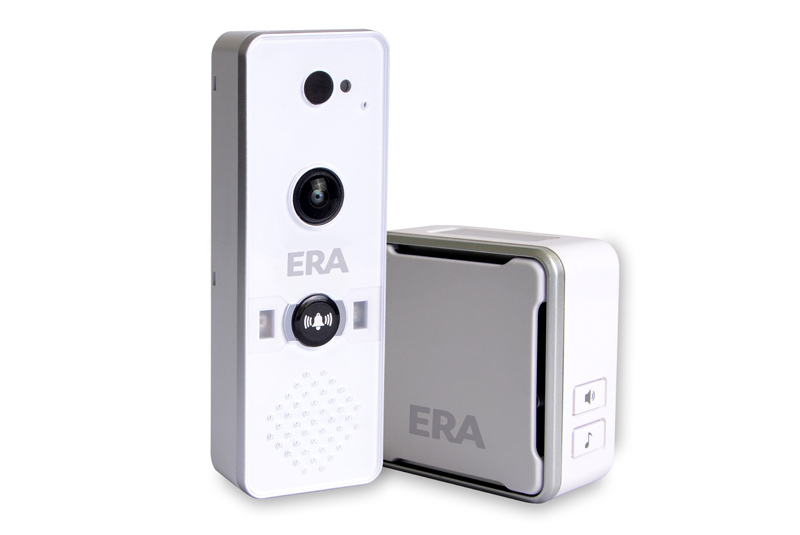 ERA DoorCam Smart Home WiFi Video Doorbell allows householders to view callers and talk to them in real time, whether they are at home or not. It features a motion detector which alerts householders when someone has arrived, to provide peace of mind and added security. HomeGuard Pro is a cloud-based alarm system that combines security with smart living allowing the homeowner to be connected and protected. Operated via a single smart phone app, HomeGuard works with Lightwave to deliver a fully integrated smart home solution.